Amazon has the 7 ounce Philips Avent My Bendy Straw Cup 2 pack on sale for just $5.75, down from $8.99. The Philips Avent My Bendy Straw Cup 7oz with ergonomic handles is ideal for your little one's first sips from a straw and allows healthy oral development. This dentist recommended cup was developed alongside experts in order to make it our best straw cup possible. 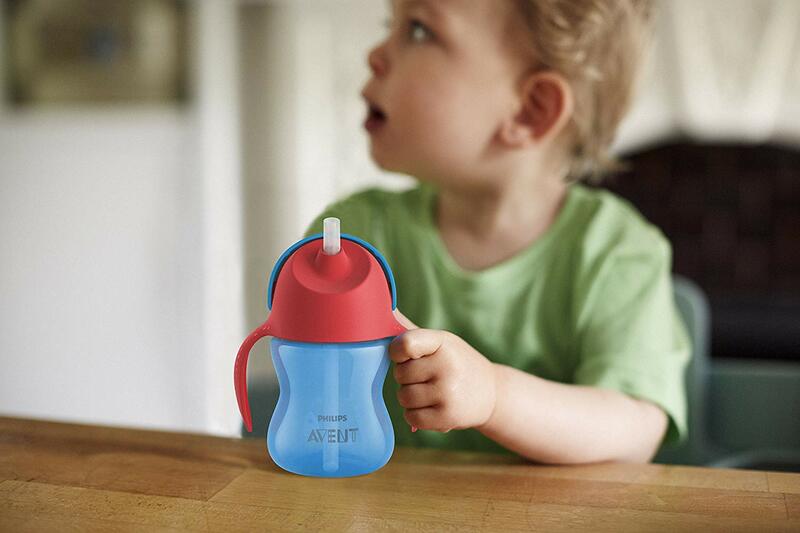 The cup's integrated handles are ergonomically designed and have grips, making it easy for little hands to hold the cup. The soft flexible straw is gentle on gums while the cup's lightweight 7oz size is ideal for first straw sips. With this straw cup, your child will be able to drink 'til the very last drop thanks to the Philips Avent unique bent-straw- the lower part of the straw is elongated and bends forward ensuring the straw easily reaches the cup's contents and allows the development of a natural drinking position. The cup has an integrated anti-leak valve to prevent spills (even when the cup is open.) and the flip-top protects the straw and prevents leakage while on-the-go.